Sports, unlike most other industries, has the luxury of starting out from the point of loyalty with their customers/stakeholders/fans. Not even the entertainment industry has this advantage, let alone other, more mundane businesses, like manufacturing, banking, fashion, or whatever. It is the same reason why sports fans aren’t called customers, in the first place, since they are not buying a commodity or a service. They are, instead, investing their time, energy, mindset, and sometimes, even their entire personality in their favorite team. What’s more, they’ll continue to do so even when the team’s ‘product’ is not rising to their expectations. Again, not many businesses have the luxury of continued customer loyalty when they are underperforming on the market. 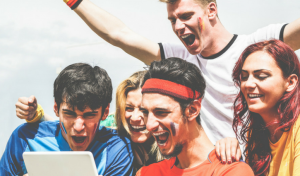 The particularity in the business world should not be taken for granted, however, even if the emotional ties between fans and their respective sports teams can be generations old. Instead, it should be respected and nurtured for what it is – a culture. This attitude and perspective towards fan engagement are where clubs can set themselves apart from the competition. Most successful sports teams understand this relationship for what it indeed is and make sure to maximize the opportunities that it provides. There’s probably a no better example of a team that has understood fan engagement for what it is, than the Golden State Warriors. Not that it’s the only one, mind you, but it’s a team that managed to ‘rise from its own ashes’ because of it. It all started back in 2010 when the team sold for a whopping $450 million. Given that they hadn’t won a championship since 1975 and it had a severe lack of facilities, that was a lot of money. But Joe Lacob was able to look beyond all that and began building the team’s culture both on and off the field. With their campaigns like “We Believe” and “Strength in Numbers,” the Warriors have taken fan engagement to a whole new level, seeing a constant increase in attendance and a strong developing bond between the team and its fans. These are only set to increase with the team’s move to their new, state-of-the-art, and self-financed arena in 2019. None of this would have been possible if it weren’t for the Warriors’ ability to recognize and then build their fan engagement culture around the supporters, themselves. It’s the fans that represent the foundation for any successful sports team, and the Warriors know it. Taking a leaf out of the Warriors’ playbook, we come to realize that a club has to build itself around its fans and the community. It can only be achieved if it is through every touch-point and direct communication. Fanisko Engage is an online platform which creates unforgettable moments for the 21st-century fan. As supporters clamor for more connection, Fanisko’s tech platform brings them to the center of attention by offering the first ever Mixed Reality fan experience. It is combined with Augmented Reality for gamification, as well as Artificial Intelligence for personalization, thus, bringing the team and its fans together, wherever they may be. In the end, it’s the fans that are the real experts of your club, and it’s only through them that a sports team can succeed. By giving them the means to stay connected and interact with your squad 24/7, you will be sure to develop a bond that can withstand anything. Fanisko Engage can get you there!